I am no longer affiliated with The London Doll and Teddybear Show. Any questions should be forwarded to Tracy Dew at londondollshow.com or londondollshow.ca. I WILL BE EXHIBITING AT THE LONDON DOLL AND TEDDYBEAR SHOW ON APRIL 14, 2019! I was born and raised in London, Ontario where I reside with my husband of 44 years Rob and our Bearded Collie Bentley. We have a son, a daughter and three beautiful granddaughters. After highschool, I trained as a hairstylist and worked in salons until my chldren came along. At that time, I set up shop at home where I currently still do some long time customers, now good friends. I have always had a penchant for dollmaking from a very early age. As young girls, my sister, Linda and I made our own dolls. We spent hours making our own cut-out dolls, featuring whole families and all their furniture made from paper and their houses make from cardboard boxes. Then we went to the three dimensional element and made our beautiful sock dolls. This was before I received my first Barbie. She was a clone actually, named Mitzi. I bought a Mitzi on ebay a few years ago. She was just as beautiful as I remembered! Later came the Barbies and years of fantasy and fashion. When I had a daughter, I worked very hard to instill a love of dolls in her. She played for hours on end with her Barbies, Strawberry Shortcakes and Cabbage Patch Kids which was good for me because I enjoyed just looking at them and sometimes cleaning them up, doing their hair, etc. I never made her any clothing for them as I didn't know how to sew at that time. I seemed to always be into creating something, from macrame' in the 70's to wreaths and bowers in the 80's and thanks to my new neighbour I made ceramics in the early 90's. The curious thing is I never made these things with intent to keep them. Since I was an "at home" mom, I was always looking for ways to make some income without going to work outside the home. I always sold what I made, and lucky for me, people bought my products! Around 1995 that same neighbour, Janis Boisclair, introduced me to sculpting with polymer clay. I started to make my own character sculpts along with Janis and soon we were exhibiting our work at various doll shows in Southern Ontario. But I still had that love for pretty dolls, big and small, that could be redressed. While attending a doll show in London I saw some porcelain fairies and asked an exhibitor named Joanne Wilson, a porcelain artist and instructor, if she would make me one. She said no, but I could come and make my own at her place. So I went to her class and was just going to make a fairy. I ended up making 10 and by the time I was done, I was hooked! I loved working with porcelain, it's texture is so soft and smooth, not coarse like ceramics and I couldn't get over the wonderful way the china paints blended. I asked my friend's mother (Fran Constant) to make my doll clothes and I was back in business selling at doll shows again! As time went on I started painting the eyes on most of them, mainly to save money at first, but for some reason I seemed to have a knack in painting great looking eyes and now constantly endeavour to create depth and personality in all my dolls through the eyes by learning new ideas and techniques. Over the last 7 or 8 years I have also learned to sew my own doll clothes. It still amazes me considering I couldn't figure my way through a pattern and now I make my own! When I look back I realize all the creative mediums I have dabbled in, including hairstyling, have helped to hone my skills and become the artist I am today. I regularily feature my smaller dolls on ebay where they and countless small doll outfits sell worldwide as fast as they are listed. Check out my page "Adoptions around the World" to view some of them. Occasionally I have been hired for custom look alikes or custom clothing. My page "Commissions" will show you examples. You can contact me if you have a request for a likeness of your child or grandchild. His/her own clothes can be cut down to fit the doll on request. You may also enjoy checking out my page "Currently up for Adoption" to view my dolls that are now for sale. I am a very good packer and ship around the world. I accept VISA, Master Card, AMEX, Paypal, International Money Orders, and Email Transfers for Canadian Customers. Remember, all my doll are completely created by me in a non smoking studio or my non smoking home. In 2001 I took over the London Doll and Teddybear Shows at the Best Western Lamplighter, one in the spring, and one in the fall. I cordinated the shows for 5 years but gave them up to have my knees replaced. Eventually it became a once a year fall show presented by Joann Box at the London Ukranian Centre. In 2011, I resumed the role and reintroduced the spring show again in 2012. It is going as strong as ever with many new exhibitors and cutomers as well as long time favorite exhibitors and patrons. 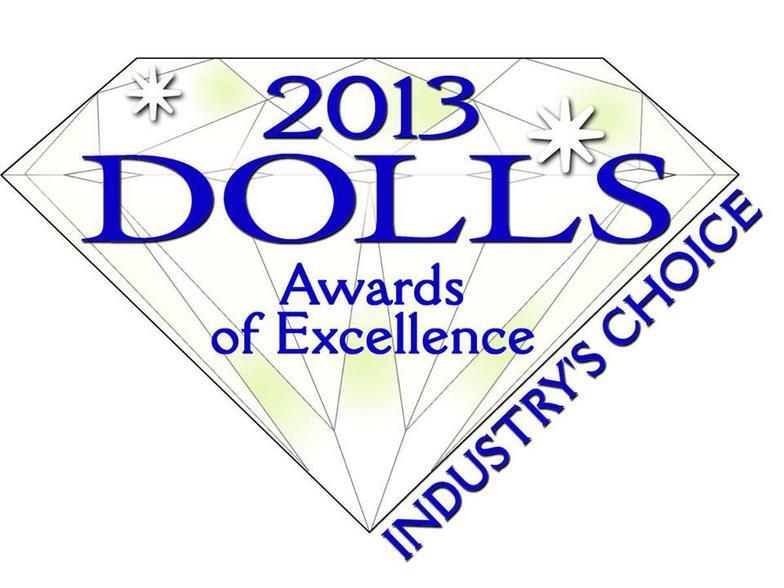 Please visit the London Doll Show page for more information. In 2015 my successor, Tracy Dew took the reins and has built the show into the best Doll and Teddybear show in Southern Ontario. Now that you have found out a little about me, I hope you will take the time to browse my site. Enjoy! 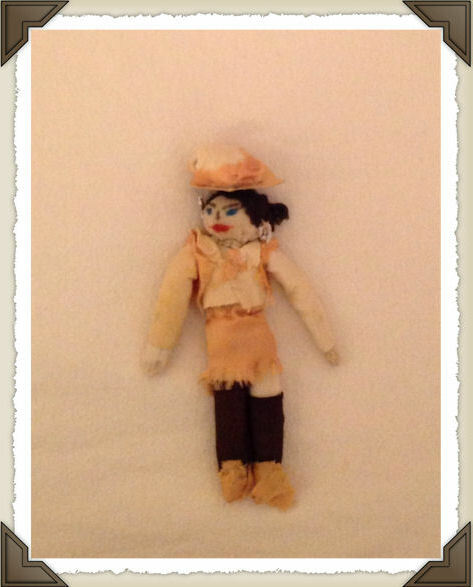 My first attempt at doll making was when I was about 7 or 8 years old...she was a cowgirl made from a sock with tinfoil hoop earrings and a gold satin outfit with fringe skirt and vest, and cardboard brimmed hat. Don't forget the black nylons! Amazing that my mother saved her.